Olde Naples Condos.. Going Going Gone! We are all set to host an Open House this weekend within the hot Olde Naples neighborhood. Olde Naples is the premier downtown community that is noted as being the heart of the city with its designer boutiques and relaxed alfresco dining set along the famous 5th Avenue South. In anticipation of the event we have gathered information that we like to share with visitors and on-line readers alike. Properties in the Olde Naples market have been selling at a record number. There are presently 60 condo listings in Olde Naples, of which 9 are one bedroom units! One bedroom properties were nonexistent in our market a year ago. Why have they made resurgence? Price is the main factor. The lowest priced two bedroom unit in Olde Naples is listed at $204,000. Therefore if you are seeking to live in Olde Naples for under $ 250,000 you will need to settle for a one bedroom property where prices range from $ 140,000-$ 220,000. Keep in mind that the average property in this neighborhood regardless of price is un-renovated! Naples Meridian recently undertook a condo renovation project in Olde Naples where we proved that renovating a property in this hot neighborhood would significantly decrease the selling timeframe and increase the achieved sales price. With only 60 condo listings in Naples and 63 sold properties in the last six months where is the baseline for this market? In a nutshell the answer is it depends. Given that the age of the buildings in this community date back to the 1960 and 1970’s the internal living areas are usually generous ( 1200 square feet is the norm). 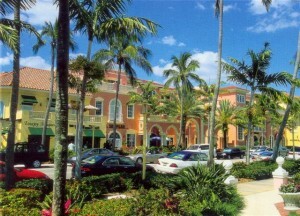 The location of many of the buildings are highly desirable given the shopping, dining options in Olde Naples along with the access to the beach. The lack of inventory throughout the neighborhood has driven prices northward for the past year. Since January 2014 there have been seven properties that have sold over $500,000 with the most expensive property; a 3 bedroom + den option (2545 square feet) sold for $ 2.250,000. Our property of choice this weekend is located on 804 10th Ave South within the Franciscan Gardens complex. The main attributes of this property aside from its stellar location is that this updated condo is situated on the first floor of the complex. First floor units are desirable especially for investors seeking to use this property as a rental option as seasonal visitors typically prefer first floor units over options that require elevator access. This property also has tile floors, crown molding and updated new kitchen and bathrooms. The community pool and lush landscaping add to the relaxed atmosphere that draws so many prospective buyers to select Olde Naples as the neighborhood of choice. You can view more gorgeous properties in Olde Naples here.